For most Malayalis, the life-altering journey to the Gulf is one of survival. Salim Ahmad, who directed the National award-winning film Adaminte Makan Abu, narrates the ordeal of one such migrant named Pallikkal Narayanan (played by Mammootty) in Pathemaari. Meanwhile, Meera Jasmine plays the protagonist in Manoj Alumkal’s Ithinumappuram, which releases with Pathemaari today. 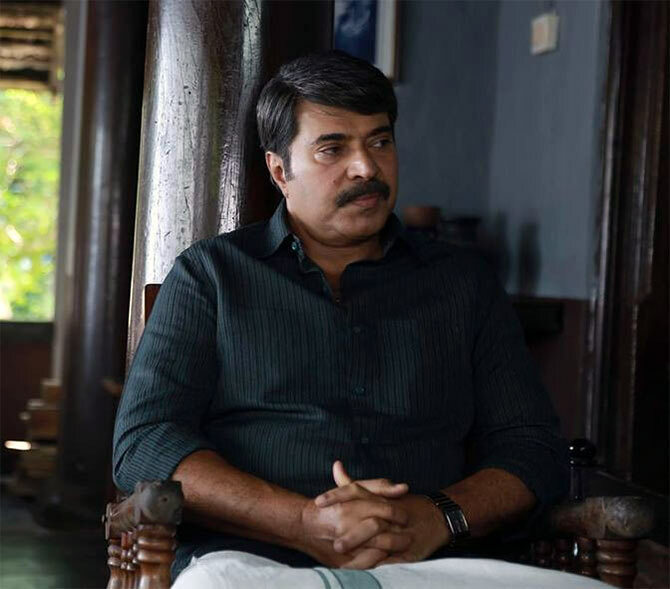 Through the intriguing life of Pallikkal Narayanan (Mammootty), Salim Ahmad chronicles the struggles of Malayalis making a life for themselves in the Gulf. After the much appreciated Adaminte Makan Abu, Salim Ahmad had directed Kunjananthante Kada, which had Mammootty in the lead. Anchor Jewel Mary, who played Mammootty’s heroine in Utopiayile Rajavu, is the female lead in Pathemaari. Sreenivasan, Joy Mathew, Nedumudi Venu and Siddique constitute the rest of the cast. Madhu Ambat is the cinematographer. Oscar award winner Resul Pookkutty handles the sound. Meera Jasmine plays Rugmini, who has to face a struggling life after her marriage to a man of her choice against the wishes of her family, in director Manoj Alunkal’s Ithinumappuram. Riyaz Khan plays the male lead. Ithinumappuram has camera work by M J Radhakrishnan and music by Vidhyadharan.